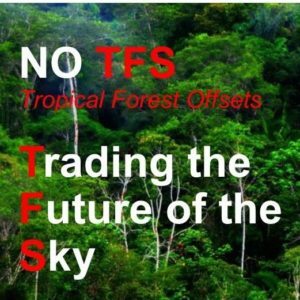 Don’t let California businesses get off the hook for pollution and greenhouse gas emissions by buying “offsets” in tropical forests! The California Air Resources Board is considering a rule that lets California polluters “offset” greenhouse gas emissions by taking credit for the carbon dioxide absorbed by trees. Research has shown such offsets do not work and often cause harm. They do nothing to reduce carbon dioxide emissions at the source. They also impact—and sometimes even displace—Indigenous communities living in tropical forests. They don’t address the drivers of deforestation. And they allow polluters to continue poisoning their neighbors and disrupting the climate. Come to Sacramento to tell CARB to reject incorporation of tropical forest carbon credits into California’s cap and trade system. Sponsored by Idle No More SF Bay, Asian Pacific Environmental Network, Indigenous Environmental Network, Rainforest Action Network, and Amazon Watch. To join a carpool or offer a ride, contact Janet at janet@350bayarea.org. 1. Offsets achieve nothing to reduce the emissions that are poisoning California communities. a. They do not result in a reduction of emissions, but rather allow big polluters such as refineries to release more greenhouse gasses legally. b. This further harms our communities, which have historically suffered from carbon co-pollutants. c. It distracts from the only strategy that can work: ending emissions at their source. 2. Tropical forest offset programs pose serious risks to human and Indigenous rights. a. The market linkages proposed by CARB subject Indigenous Peoples to grossly disproportionate economic power, intimidation, and coercion and typically fail to obtain meaningful Free, Prior, Informed Consent. b. Programs such as REDD+ (project or jurisdictional) have resulted in land grabbing, and put Indigenous peoples at risk of displacement and/or loss of control of their forests, their way of life, cultures, food security, and sovereignty. c. They are rife with corruption and conflicts of interest, which California cannot police. 3. Tropical forest offsetting has been discredited as an environmental strategy. a. Offsets do not work: they allow certain, permanent harm (more GHGs) in exchange for the fallacy of hoped-for uncertain, temporary carbon sequestration. b. Offset programs (REDD+ etc.) fail to address the drivers of deforestation. c. Because of such flaws, no compliance market in the world accepts REDD+ credits. 4. CARB fails to consider the scientific evidence against tropical forest offsetting. a. It is ignoring the extensive, peer-reviewed literature by independent researchers documenting the environmental and social failures of REDD+. b. It has relied too much on organizations and consultants with careers and personal stakes in offsetting projects and policies.